Sally Jaeger was born in a small farming community in Wisconsin and moved to Toronto in 1972. A lifelong enthusiast of stories and rhymes, she discovered Boys and Girls House Library and Storytelling Toronto, where she pursued and developed her storytelling. 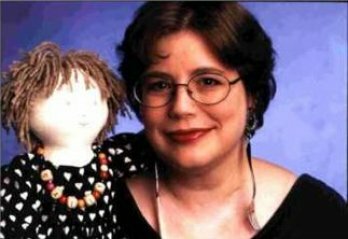 Sally began working professionally in 1981 when she created the first of three parent and child storytelling programs called Mr.Bear Says Hello, geared to parents and caregivers with children from birth to three years old. At that time, there were no ongoing story programs offered in Toronto for parents with children in that age range. Over several years this program evolved into three programs which Sally currently offers in Toronto, with her daughter, Erika Webster: Lullabies and Lap Rhymes for birth to 10 months, Mr. Bear Says Hello for 10 months to two years and Jack in the Box Tales for two to three year olds. The goal of our programs is to draw the listener into the world of nursery rhymes, songs, lullabies and stories. Families learn a practical and portable collection of rhymes and songs for soothing or entertaining, day or night at home or on the go. This is when love of language and story begins. The effects of playing rhymes and stories in infancy are lasting. Mr. Bear Says Hello celebrated 30 years in January 2011. Sally also offers storytelling performances and workshops in daycares, nursery schools and primary schools. Children who listen together build strong group dynamics, and create a sense of community and belonging for themselves. They learn to use their imagination to respond based on their own individual experience. There is no right way or wrong way to see the story. Storytelling leads children to books. Slly presents practical and entertaining workshops to older students, teachers, librarians, ECE workers and anyone interested in learning about the art of storytelling. 'Lullabies and LapRhymes' (2007) Sally’s first audio recording with daughter Erika Webster. Merriweather Records, From Song and Rhyme to Storytime series. ‘Here Comes Mr. Bear’ (2009) Sally and Erika’s second audio recording in the same series. 'From Wibbleton to Wobbleton' (1998) and 'Mr Bear Says Hello' (2000) are Sally's dvds. Just released, ‘Happy Birthday, Mr. Bear!’ celebrating 30 years of programs, with Sally, Erika and family and friends age 4 years to babysitting age!